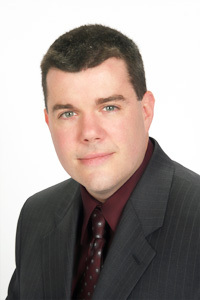 Patrick J. Crowley is a principal of Hershman, Fallstrom & Crowley, Inc., a Certified Public Accountant licensed in Massachusetts and recognized throughout New England for his special expertise in the tax controversy process. After receiving his commission, Mr. Crowley served a tour of duty as an Officer in the United States Army at Fort Lewis, Washington. Since his release from Active Duty, Mr. Crowley has held various positions in public accounting with an emphasis on complex tax matters, interrupted only by a subsequent tour of duty as a Commander of a Massachusetts National Guard unit in Iraq. Mr. Crowley is an authority on tax controversy matters and represents individual and closely held business clients before the Internal Revenue Service at the local, regional and national levels, as well as before the Massachusetts Department of Revenue. Mr. Crowley serves as tax advisor and forensic accountant to Chapter 7 and Chapter 11 Bankruptcy Trustees throughout Central Massachusetts. Mr. Crowley also provides representation to clients on federal and state tax compliance matters. Mr. Crowley is a member of the American Institute of Certified Public Accountants and a past member of the Massachusetts Society of Certified Public Accountants. He is also a member of the Town of West Boylston’s Finance Committee and Capital Investment Board. He received his B.S. Degree from Providence College in Rhode Island. Mr. Crowley currently hosts the radio program “Tax Minute” which can be heard every weekday morning at 6:25 on WCRN 830 AM.